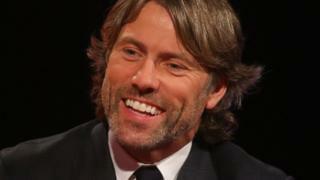 Comedian John Bishop has sold his mansion to HS2 for His agent said his opposition to HS2 remained unchanged and said he had "no choice" but to sell.HS2 is one of Britain's biggest infrastructure projects. The Liverpudlian stand-up has been one of the scheme's most outspoken critics, tweeting in 2016: "Anyone looking at the details sees how flawed it is, including every independent review. "He also agreed with Conservative MP Jacob Rees-Mogg after the politician criticised the project on BBC One's Question Time, tweeting: "I can't argue with his assessment of HS2 'a complete waste of money that should be scrapped'." Mr Bishop put Whatcroft Hall in Northwich, Cheshire, up for sale in 2016.The Grade II listed Georgian mansion comes with 28 acres of land and is described by Historic England as late 18th Century with French windows and entrance hall, a chandelier and ornate fireplace.The new rail line will pass within 150m of the property. When Mr Bishop could not find a buyer he turned to HS2's Need to Sell scheme. Two surveyors analysed the property before making the offer.The comedian brought it for ?2.25m in 2013 - meaning he has made a ?4.5m profit from the deal. A spokesman for Mr Bishop said HS2's offer was below market value and significantly less than the original estate agent price.He continued: "John Bishop maintains his opposition to HS2. "He is unhappy, like many others affected by the proximity of the proposed line, that he was left with no choice but to sell his family home to HS2. "The proposed line had rendered it unsellable on the open market - thus destroying all he and his family had worked for. "A spokesman for HS2, which has spent hundreds of millions buying affected properties, said: "We have to buy land to build HS2, as well as properties impacted by the project, and we have to pay the owners what it's worth. "Some properties cost more than others, but in each case we are paying a price that's fair to both homeowners and taxpayers. "We have the budget to do this, and we are within that budget. "The spokesman refused to confirm whether this was the highest single property purchase it had made.